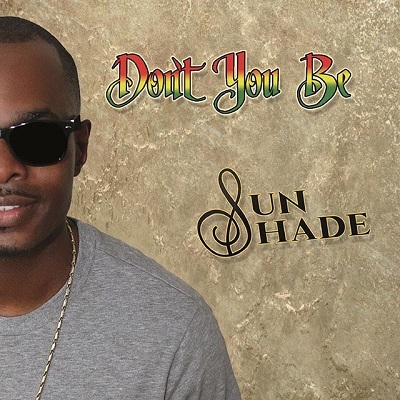 Sun Shade Don't You Be Now Available - International Reggae artiste, Sun Shade, has released his debut EP, DON'T YOU BE The worldwide digital release of this new EP is from indie label DubbStarr, the artiste's label Jeanne Music and distributed by Tuff Gong International. This new EP release by the Jamaican born artiste, features the hit siingle "You're The One," and includes "Make Ends Meet" a Dennis Brown cover and "One Love" featuring guest artiste Lushy Banton. Sun Shade alse flexs his versitlity with a powerful acoustic version of his song "Goin' On". The artiste will be on the road the remainder of the year promoting his new album with shows and media appearances, so watch for him in a city near you soon. When asked, ‘What’s your ultimate goal?’, Sun Shade’s answer is “To perform music every waking moment of my life, and break all barriers with the power of music”. Sun Shade is on a musical journey to become one of the most prolific vocalist that society has to offer today. Born and raised in Montego Bay, Jamaica, Sun Shade started his professional singing career during high school. He preformed at local festivals, which enabled him to hone in on his unique and distinct vocal style. Sun Shade has been highly influenced by the likes of Sanchez, Maxi Priest, Dennis Brown, Phil Collins, Alton Ellis, and has shared the stage with the likes of Beenie Man, Baby Cham, Wayne Wonder, Mr. Vegas, Terror Fabulous and Jr Reid just to name a few. He has vocalized many of these artist, and now hopes to emerge as his own unique artist by preforming his original songs. With his dedicated heart and determination, Sun Shade moved to the United States in hopes of breaking through internationally and setting forth new standards in Reggae music. Sun Shade’s arrival to the United States has propelled his musical career to another level. He has marketed singles such as "Jah Love," "Honey," "Forever Love" and a remake of Robert Craig’s “Smoking Gun”. Within the first few years, he went on a Midwest tour with Luciano, Sizzla, Mavado, Leroy Sibbles, Gregory Isaacs, Sanchez, and Mikey General covering cities such as Cleveland, Columbus, Cincinnati and Chicago. Sun Shade has continued this progressive movement into the musical field by constantly performing at many different venues. Ringing in the Millennium, Sun Shade toured to South Carolina, Florida and Jamaica. Summer of 2018 Sun Shade has released his EP entitled Don’t You Be. A collaboration project between Sun Shade and indie record company DubbStarr, distributed by Tuff Gong International.